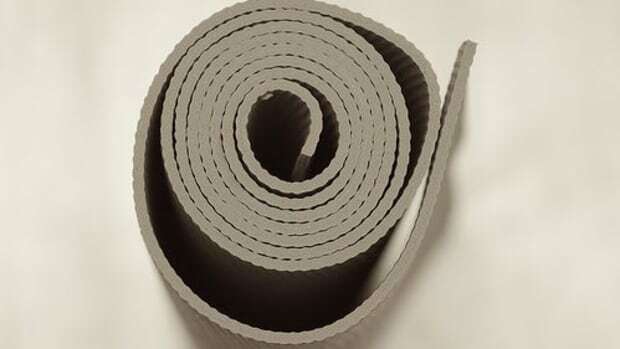 Your yoga mat puts up with a lot. Between the sweating and stretching and balancing, it will eventually shows signs of wear and tear that will impact your yoga practice. 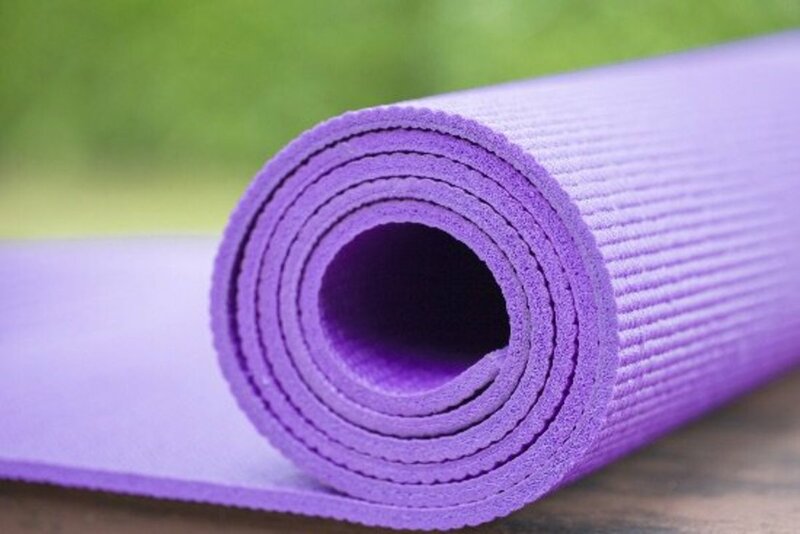 The general rule of thumb is you should replace your mat every six to 12 months, but with everyone&apos;s yoga practice being different, it&apos;s important to be aware of the warning signs. Check the edges of your mat and make sure it&apos;s the same thickness all the way around. If there are sections where it looks squished down—particularly, where your hands and feet go—this is a clear sign it&apos;s time for a new mat. Soon there won&apos;t be enough support for your joints and you&apos;ll end your yoga practice feeling like the Robaxacet puppet. 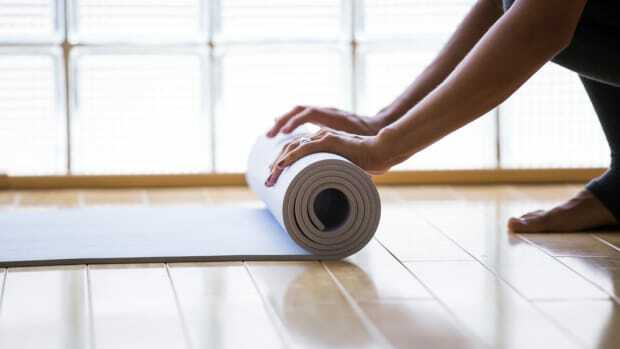 If after moving your mat you find small pieces of it on the floor, it&apos;s likely time to invest in a new one. Especially if you love the yoga class circuit, you should always leave your spot as clean as you found it. If you find your feet and hands constantly slip during poses like Triangle pose and Downward Dog, it could be a sign your mat is wearing out. Traction is especially important when you&apos;re trying to nail those uber-challenging poses during your yoga practice. As the cushion in your mat starts to wear out, it becomes uneven and makes it difficult to hold balance poses. As it starts to wear, the changes are subtle at first, so if you find your poses are starting to suffer, it&apos;s time to consider seeing other mats. 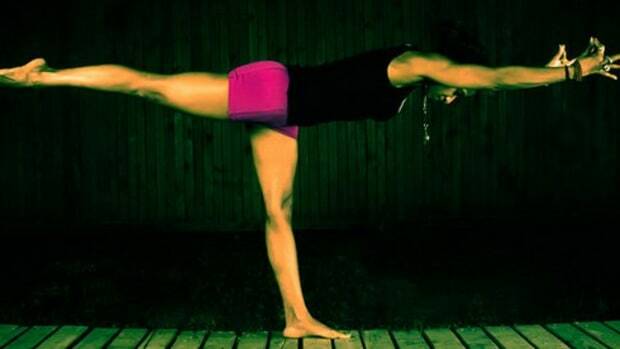 Some poses will put strain on joints like your wrists, knees and ankles. If you find yourself skipping poses during your yoga practice because your mat doesn&apos;t support your bod in certain areas and it&apos;s leading to joint pain, it&apos;s most certainly time for a new mat. One of the most obvious ways to tell it&apos;s time for a new mat is when it starts developing bald spots and holes. Regardless of how attached you are to your mat, you won&apos;t be doing your yoga practice any favors. Like, worse than you do. If there are smells coming from it that cleaning it isn&apos;t getting rid of, it&apos;s time to do your yoga practice a favor and invest in a new mat. 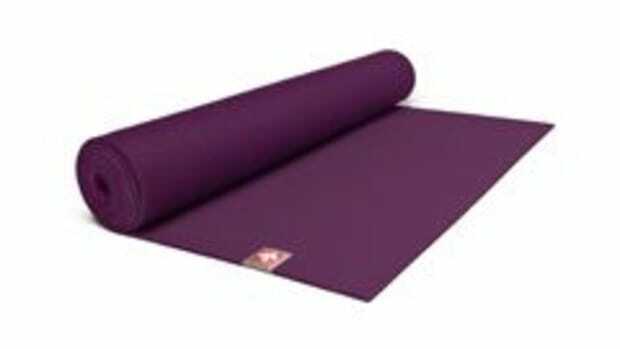 How often do you replace your mat for your yoga practice?